I’ve mentioned that grinding meat is therapeutic. So my first day back in the kitchen after vacation, I took a little time out when I discovered there was not enough ground beef for the burger night special. Fortunately, we butcher all meat in house and always have scrap meat laying around. House ground skirt, ribeye, and tenderloin steak with nueskes bacon. 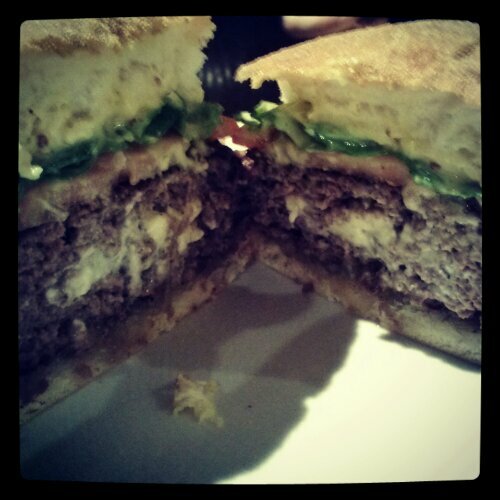 Stuffed with blue cheese and served with onion jam, mustard aioli, lettuce, tomato. Boom! 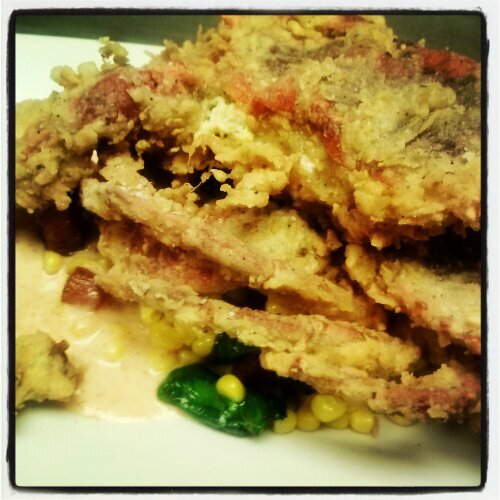 Hazelnut crust, sauteed corn, bacon, and ramp tops, brown butter vinaigrette. Wednesday night or in other words my Monday (first day of my work week) has become pork belly night at B&O. Threw this special together last week and actually turned out all right. 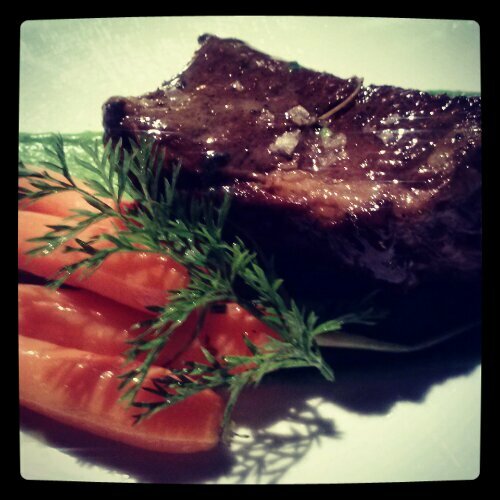 My goal for this week is to actually compose a pretty pork belly entrée. We’ll see how that works…. 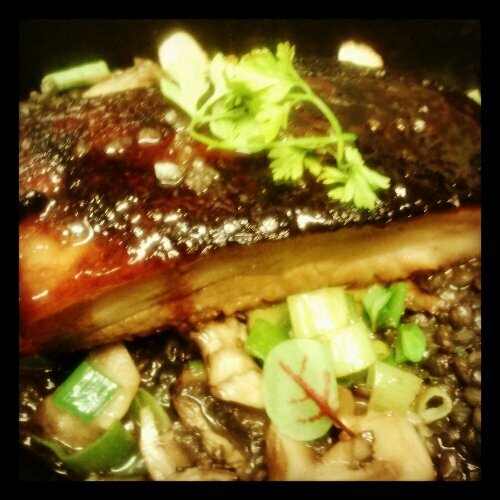 Pork belly with green garlic mushroom lentil ragu.